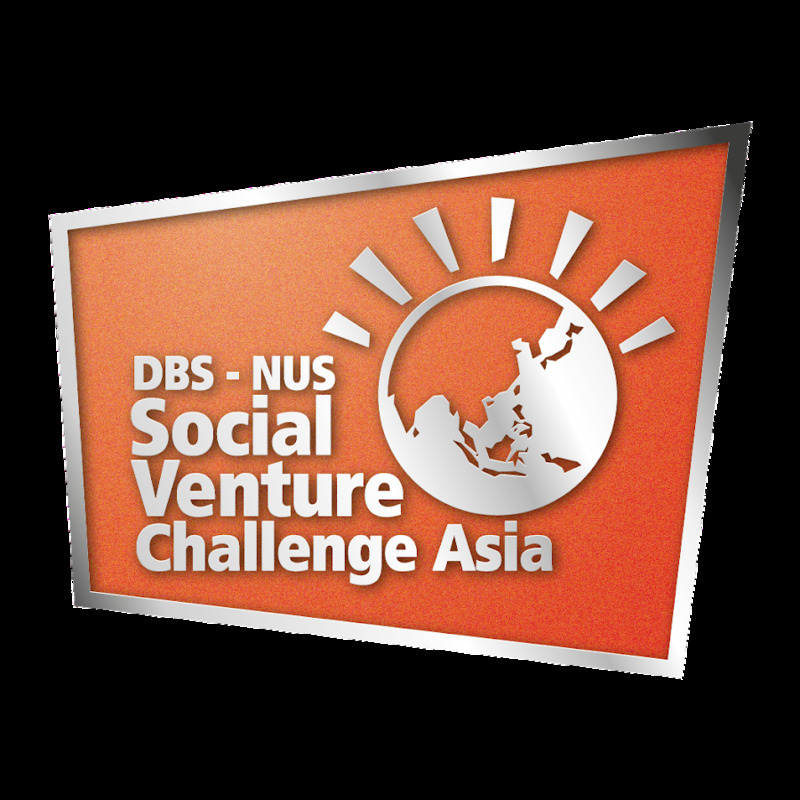 SINGAPORE, 12 June 2015 – DBS Foundation and NUS Enterprise today announced the winners of the 2015 DBS-NUS Social Venture Challenge Asia (SVC Asia), a business plan challenge that aims to identify and support new social ventures that demonstrate scalability and sustainability around the region. Learn Education took first place, while MicroX Labs and iHealth Express came in second and third respectively. In support of Singapore social enterprises, the Singapore Centre for Social Enterprise, raise has awarded special grants to two additional SVC Asia teams, SDI Academy and Society Staples. This year’s SVC Asia received 683 entries from 30 countries, a more than 60 percent increase over entries received last year. A significant number of entries were focused on areas such as education, healthcare and the environment, showing that social entrepreneurs are becoming more forward thinking and responding to real development needs in the region. The top three countries of impact were India (229 entries), Singapore (115 entries) and Indonesia (75 entries). “The increase in participation, diversity and quality of entries this year has been extremely encouraging. Through the course of this competition, we have met many talented individuals who are passionate about making an impact in their respective regional communities, and appreciate how the SVC Asia is fast becoming a platform to identify and nurture innovative social enterprises. In conjunction with Singapore’s jubilee year, the winners this year will receive grant monies totalling S$150,000,” said Karen Ngui, Head of DBS Group Strategic Marketing & Communications and Board Member of the DBS Foundation. Amongst the highlights of this year’s SVC Asia was the increase in prize money for the winners, ensuring that they will be better equipped to work on the scalability of their initiatives. Learn Education received S$100,000 in seed funding, while MicroX Labs and iHealth Express received $30,000 and S$20,000 respectively. Winners received their prizes today at the awards ceremony from guest-of-honour Mr Teo Ser Luck, Minister of State, Ministry Trade and Industry. “We are heartened to see an increasing interest in social ventures, and are delighted that more countries are participating in SVC Asia. We will continue in our outreach activities to raise further awareness and engagement in social entrepreneurship across Asia. NUS Enterprise looks forward to working with the participants to provide post-SVC Asia support in areas such as incubation, mentorship, assistance in fund raising and access to resource networks,” said Professor Wong Poh Kam, Director, NUS Entrepreneurship Centre, which is part of NUS Enterprise. Social enterprises SDI Academy and Society Staples received $50,000 and $25,000 grants respectively from raISE. On top of these grants, raiSE will provide advisory services and relevant resources or link-ups to the teams to help them in their journey as social enterprises. “Running sustainable businesses that create social impact is challenging, even for mature enterprises. raiSE is keen to support aspiring young social entrepreneurs who want to make a difference in the community,” said Mr Alfie Othman, Executive Director of raiSE. This is the second year that the SVC Asia has been held, jointly organised by DBS Foundation and NUS Enterprise. Over the past five months, participants learned how to develop their ideas into scalable and sustainable social ventures through attending workshops, networking events and mentoring sessions. For more information on the winning teams, please refer to Annex 1. As the only corporate foundation in Asia solely dedicated to championing social entrepreneurship, DBS Foundation contributes towards building a more inclusive society so that those at society’s margins can enjoy productive and rewarding lives. DBS Foundation works with Social Enterprises and Social Entrepreneurs in Singapore, India, Indonesia, China, Taiwan and Hong Kong with programmes ranging from basic training & workshops to intensive incubation, project grant support, forums for knowledge sharing and senior management mentoring. The Foundation is an endeavor from DBS Bank to make an even greater impact in addressing Asia’s evolving social needs. A leading global university centred in Asia, the National University of Singapore (NUS) is Singapore’s flagship university, which offers a global approach to education and research, with a focus on Asian perspectives and expertise. NUS has 16 faculties and schools across three campuses. Its transformative education includes a broad-based curriculum underscored by multi-disciplinary courses and cross-faculty enrichment. Over 37,000 students from 100 countries enrich the community with their diverse social and cultural perspectives. NUS has three Research Centres of Excellence (RCE) and 26 university-level research institutes and centres. It is also a partner in Singapore’s fifth RCE. NUS shares a close affiliation with 16 national-level research institutes and centres. Research activities are strategic and robust, and NUS is well-known for its research strengths in engineering, life sciences and biomedicine, social sciences and natural sciences. It also strives to create a supportive and innovative environment to promote creative enterprise within its community. This year, NUS celebrates its 110th year of founding together with Singapore’s 50th year of independence. As the island’s first higher education institution established by the local community, NUS prides itself in nurturing generations of leaders and luminaries in Singapore and Asia. For more information on NUS, please visit www.nus.edu.sg. Details on NUS’ 110th Anniversary celebrations are available at nus110.sg.